A filament 4w LED radio valve B22 light bulb in warm white and 440 lumens that is a direct replacement for a 40w incandescent lamp. Warm white 2700 kelvin, with amber glass for a vintage look. This bulb looks great in vintage, steampunk and industrial style open fittings or just as a decorative bulb for mood lighting. This tube lamp features the latest in LED technology. Designed to look like original incandescent lamps, whilst offering all the advantages of LED, such as low running costs, this lamp is an ideal replacement replacement for all decorative light fittings. 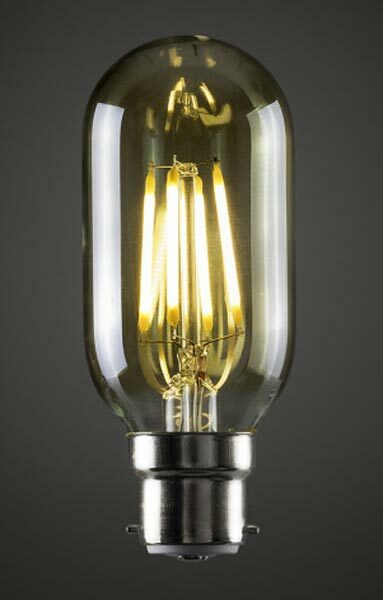 Finding the right vintage style light bulb for your vintage lighting just became easier. 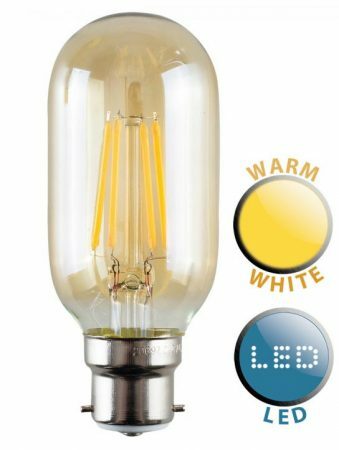 Take a look at our range of light bulbs with a vintage twist here where our LED bulbs come in a wide selection of vintage styles.